Is Chief Wahoo the same as Little Black Sambo? Here's an article with a few thoughtful links to articles on Chief Wahoo and whether it's racist. 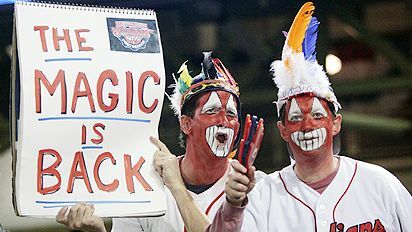 Oct. 18, 2007 | For a short while Wednesday morning, the lead photo on the front page of ESPN.com depicted some Cleveland Indians fans at Tuesday night's ALCS Game 4 with their faces made up to resemble the Indians absurdly racist caricature mascot, Chief Wahoo. Does anybody care about the upcoming Cavs season? What the F*CK was Joel Skinner thinking??? Game Winning RBI... or anything game winning.